Somerville historians past and present gathered at College on Sunday September 23rd to celebrate Professor Joanna Innes’ career and welcome Dr Faridah Zaman, a historian of South Asia and modern Muslim politics, who joins Somerville as the new Winifred Holtby Fellow and Tutor in History. 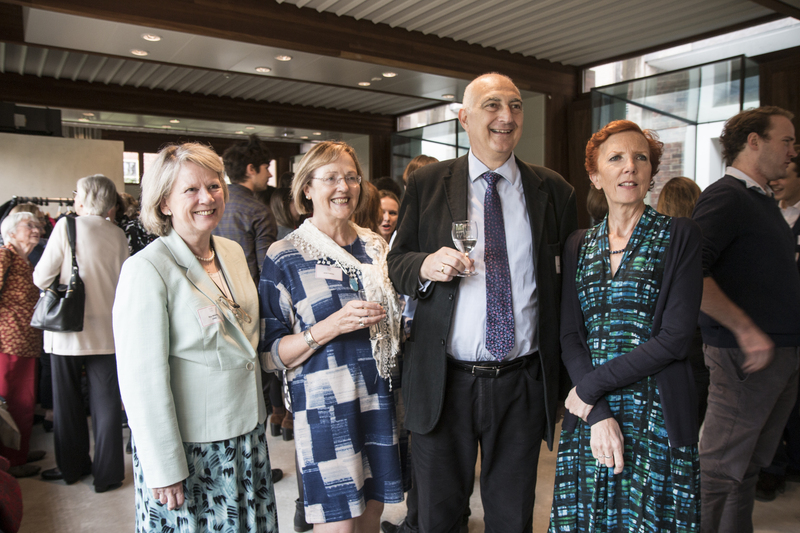 As alumni looked back over the History school’s successes, the College announced plans for a new fund to support postgraduate study and to mark the departure of Professor Innes, who is retiring as history tutor after 36 illustrious years. The Next Generation History Fund will enable the most talented students to explore a subject further and will be awarded to the most deserving students, at the discretion of the Fellows. 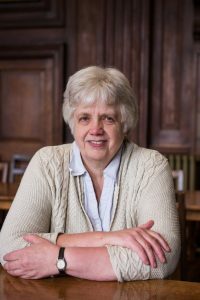 Professor Innes will continue to pursue her research. Her next book, Joanna Innes and Mark Philp eds. Re-imagining Democracy in the Mediterranean, 1780-1860, will be published by Oxford University Press in November. The new fund is being launched at a time of change for the teaching of history in Oxford. Following a careful review, the Oxford history degree has been rebalanced. From now on, all students will be required to study some non-European history. This change responds to changing student interests: new options such as “Haiti and Louisiana: The Problem of Revolution in the Age of Slavery” and “The Middle East in the Age of Empire, 18301971” have proved extremely popular. Students are now able to pursue specific themes such as “Technology and Culture in a Global Context” over long periods of history. Somerville has also unveiled a new history prize, the Alyson Bailes History Prize – named after the distinguished British diplomat – which will be awarded to an outstanding first year undergraduate historian. Alyson Bailes (Modern History, 1966) served as British ambassador to Finland and as a diplomat to China, West Germany, Hungary and other postings. The prize, which comes with an award of £500, is intended to support the winning student’s personal development. The first winner is Anna Jones. The creation of the Alyson Bailes History Prize was spearheaded by Roz Morris and Venetia Kudrle with the intention of creating a lasting tribute to Ms Bailes. The prize has been supported by her family, who were represented at Somerville on Sunday by Anthony and Jane Inglese. Jan Royall, Somerville Principal, said: “Jo is one of the most brilliant people I know, but is also entirely lacking in egotism. “It is typical of her modesty that she declined to have a fund named after her, but wanted future generations to be supported at the precarious moment when they move from undergraduate to postgraduate study. Dr Benjamin Thompson, fellow and tutor in mediaeval history at Somerville, said: “We wish a fond farewell to Jo Innes, a muchloved colleague who we know will stay in close contact with Somerville. We welcome contributions from alumni to the Next Generation History Fund, which will open up new opportunities for some of the most talented students. You can make a gift here.